If you are a beginner blogger, you need a dictionary of WordPress and blogging terms. Make sure to bookmark this essential blogging glossary! Yes, like right now. 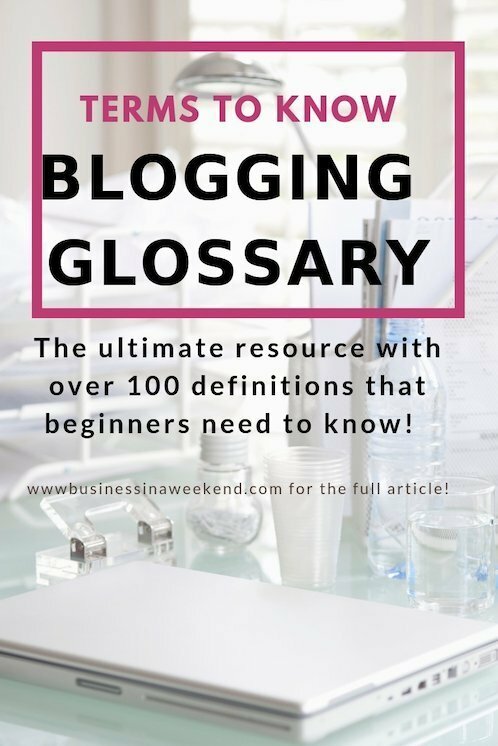 This ultimate resource has over 100 (and growing) blogging terms, acronyms, and jargon defined for you, the beginner. This is the dictionary that I wish I had to look up all the blogging vocabulary and acronyms. Much of what you learn in the beginning is WordPress terminology related to setting up your blog on a WordPress website. All that jargon! Seriously, what do all those words even mean? That was totally me. Then, as you start growing your blog, you will come back to this post for definitions of more blogging terms. As a professional blogger, you need to know the lingo! Make sure to bookmark this page so you can come back to it as you run into terms that you don’t know. Just like Webster’s dictionary, the terms and phrases here are in alphabetical order. As I said, some are directly related to WordPress terminology, others are for blogging vocabulary, and still others are for digital marketing. Want to download this dictionary for later? It’s in my free resources library. Join the crew and get access to download this dictionary and other free courses, donwloads and worksheets. Yes – download this dictionary!! Disclosure: This WordPress and blogging dictionary contains some affiliate links. If you purchase any service through one of these links I may earn a small commission, this is at no extra cost to you. More information in the disclosure page. Above the fold – the first part of the page that a person sees when opening a website. Anchor text – A word or phrase that is linked to another page. API (Application Programming Interface) – which a set of definitions or instructions and rules for various components to communicate. Avatar -A graphic image or photograph that represents the user on websites and social media. Beta – A product or page that is still in testing phase. Black Hat SEO – Systems and methods to cheat and achieve short-term SEO benefits. Blog – short for weblog or an online journal or diary published on a website. A website that publishes content regularly in blog posts is considered a blog. Blogger – the person who writes a blog. Also a free blogging platform on Google. Blogspot – the name of a free Blogger hosted blog which looks like blogname.blogspot.com. Blogroll – a list of links to blog posts on a website usually in chronological order or related to categories. Bounce Rate – If someone clicks on a website and then leaves away from your blog. CAPTCHA (Completely Automated Public Turing test to tell Computers and Humans Apart) – A program that protects a website from spam and abuse by challenging a person to a test that a bot could not perform. Content Marketing – Using content, such as blog posts, to convert visitors to subscribers, and then sell them a product. Content Upgrade – A specific, relevant piece product to incentivize people to visit and subscribe to your blog. Conversion Rate – The number of visitors to a website or recipients of an email who take action beyond viewership. Copyright – A person’s legal right to their works, physical or intellectual. Comments – A feature of blogs that allows readers to respond to blog posts with thoughts, questions, compliments and discussion points. Content – the text, images, and other information shared on the website and in blog posts. Domain Name System (DNS) – a system that points a domain to an IP address so each website has a name rather than a long string of numbers. Domain Name – The website name that acts as the address on the internet for your website. 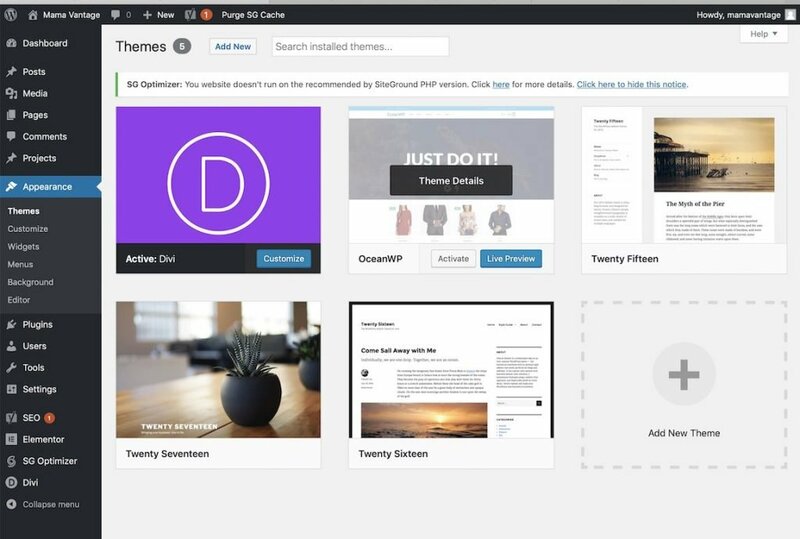 Default theme – The theme that is pre-installed on your WordPress website so that it can be displayed on the internet. You can change to another theme. Dedicated hosting – a web hosting package that gives a specific server to one website instead of sharing resources. Direct Traffic – A visitor who typed your webpage URL directly into their browser. Draft – a status in WordPress Post section where posts are written and saved, but not yet published. Drip Campaign – A method of sending emails repeatedly over a period of time to build a relationship with potential customers. Editor – a role in WordPress for a person who can write, edit, publish or delete blog posts and moderate comments. Evergreen – content and other material that is relevant all year round and into the future. Forums – Blog forums are like chat rooms. People come together to discuss a topic of interest. FTP client – a program which can download files from, or upload files to, a web server. Gallery – a group of images attached to a blog post. Gravatar – globally recognized graphic image or picture that represents a user (avatar). Guest Post – Writing and publishing an article on someone else’s blog. Host – The company that provides the space on their servers to store your blog. 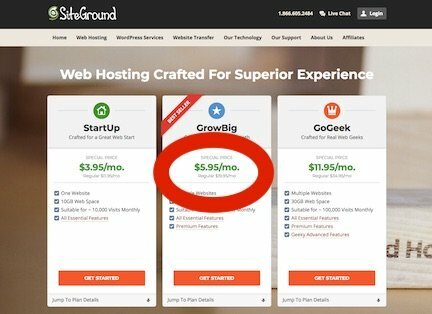 👇 BTW I recommend SiteGround. Index – The process by which search engines find your content and then make it available to users by storing it and displaying it in search results. Internal Link – An internal link connects one page of a website to a different page on the same website. .jpeg – An image file format used to compress information within a photo or picture. The most widely used. Lead Magnet – An incentive you give someone to subscribe to your email list for your blog. Link – Text or image that you can click on to go to a different page or a new section within the current page. Link Building – A technique which involves increasing your authority and SEO by getting other websites to link to your site. Long Tail Keywords – Phrases of 4 or more keywords that are targeted to search terms people use when looking for information on the internet. Meta Tag – A term that includes of meta titles, descriptions and keywords. The tags provide information about a web page and help search engines categorize them correctly. Navigation menus – a WordPress feature that allows you to create a list of links in a menu in the header, footer, sidebar and certain other areas. Nofollow – A simple piece of code which prevents links to external sites from being acknowledged by search engines. Organic Traffic – Number visits to your site that comes from search engines, like Google, Bing, and Yahoo and does not include paid advertising. Outbound link – A link that points to an external website or webpage. Podcast – originally from the words iPod – broadcasting but now is an audio file that can be downloaded to a digital media player. Also, the term used for series of audio articles on a blog. Sidebar – A s narrow vertical column on the side of your website that is separated from the main content that you can add widgets to. Skyscraper Technique – A method of finding information that people on the internet are interested in, so you can write about it and drive traffic to your blog. Shared hosting – Web hosting plan that places multiple websites on one large server and the resources are shared. Troll- a person who purposefully leaves rude comments on your blog or social media posts. URL Shortener – A program or that creates an abbreviated version of a URL. VPS Hosting – Aka Virtual Private Server Hosting – Allows each hosting account to be as its own machine with its own resources and operating system. WordPress Dashboard – the home screen on the backend of your blog with all controls, tools and functions. WYSIWYG (What You See Is What You Get) – A website builder or tool that allows you to design your website and blog posts on the front end or how it is displayed on the internet. Want to download this WordPress and Blogging Dictionary for later? You can access this free glossary and other resources in my Free Resouces section. Click here or below to join the VIP crew! 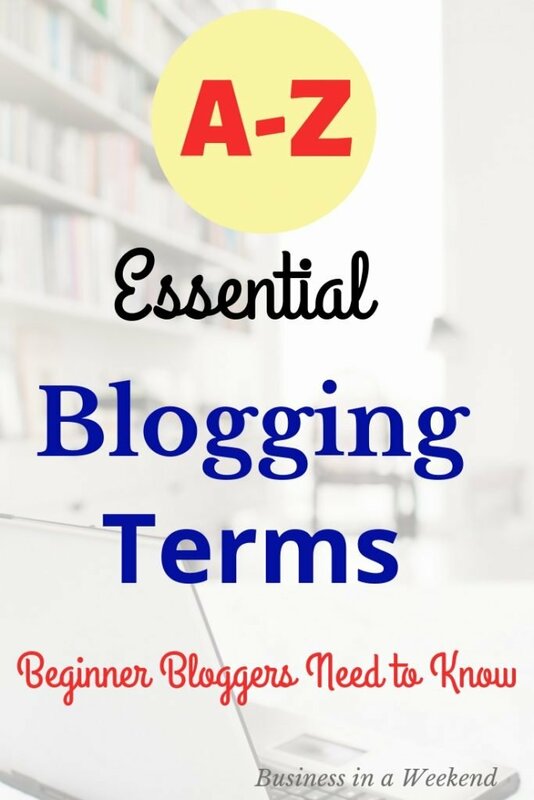 This essential blogging resource has over 100 (and growing) terms, acronyms and jargon defined for the beginner. I wish I had a dictionary like this to look up all the WordPress and blogging terms. In fact, I didn’t even think to look for one. I would think – “now what in the world does this mean?” and search each new blogging word or WordPress term. So this WordPress and blogging dictionary is really my gift to you! I hope you found all the definitions helpful. Don’t forget to share this so everyone can use this resource – sharing is caring. And I appreciate it too. 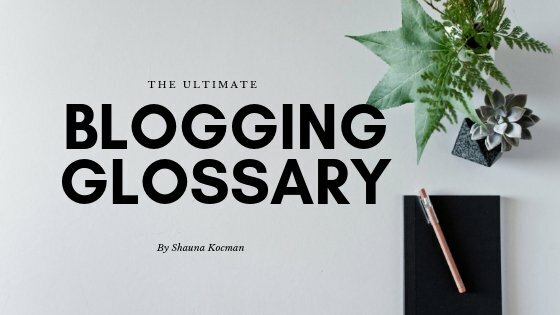 Let me know in the comments if I missed any essential blogging or WordPress terms that belong in this blogging glossary. Yes – I hope beginners find it useful. I wish I had a dictionary when I started. I didn’t even think of looking for a blogging glossary. Wow!! This is incredible! Perfect for bloggers. I’m definitely bookmarking this one!